With a versatile background in solo, chamber, and orchestral music, Dr. Jordan Enzinger currently serves as cello professor instructing music majors and non-majors at Seton Hall University, as cello faculty at the Princeton String Academy, and he maintains his private cello studio in New Brunswick. Dr. Enzinger is a certified cello instructor with the Suzuki Association of the Americas and currently serves as chamber music faculty at the American String Teachers Association (ASTA) Chamber Music Institute. As an academic, he currently serves as a guest lecturer for collegiate music classes at Rutgers, and he formerly served as cello faculty at the Rutgers Extension Division and as chamber music instructor at the Rutgers Young Artist Program. Dr. Enzinger’s students have performed in Carnegie Hall, have won prestigious competitions, and have received collegiate music scholarships. 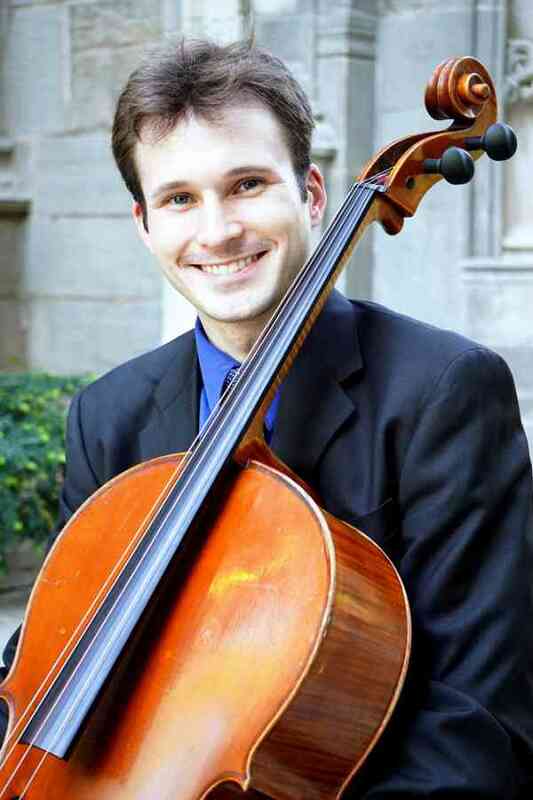 In addition the Dr. Enzinger’s avid teaching, he is in demand as a dynamic freelance performing cellist in the New Jersey, New York City, and Philadelphia areas. He regularly performs in major venues such as Lincoln Center, Carnegie Hall, Kimmel Center, and New Jersey Performing Arts Center, and he performs with some of the area’s finest ensembles such as the Orchestra of St. Luke’s, New Jersey Symphony Orchestra, American Ballet Theatre, American Symphony Orchestra, Princeton Symphony Orchestra, Princeton Festival Orchestra, among others. Dr. Enzinger currently serves as Principal Cellist of the New Brunswick Chamber Orchestra. For four summers, he performed at the Aspen Music Festival and School in Aspen, Colorado, and in the summer of 2015, he performed a series of concerts at the Bard Music Festival at Bard College in Annandale-On-Hudson, New York. Dr. Enzinger attended the Indiana University Jacobs School of Music from 2005 thru 2012, where he was a recipient of the Dean’s Scholarship as he pursued his Bachelor’s, Performance Diploma, and Master’s degrees in cello performance. His principal cello instructors in Indiana were Peter Stumpf, Eric Kim, Janos Starker, and Helga Winold. He received his Doctor of Musical Arts degree in cello performance from the Rutgers Mason Gross School of the Arts in New Brunswick, NJ in 2015, and his cello instructor at Rutgers was Jonathan Spitz. Throughout his doctoral studies, Dr. Enzinger was member of the Rutgers Graduate String Quartet, a group which regularly received coachings from Todd Phillips of the Orion String Quartet. In 2015, he participated in the Montclair State University Cali School of Music’s String Quartet Mentorship Program, where he received chamber music coachings from the Shanghai String Quartet and performed a full string quartet recital program at Carnegie Hall. - My goal is that lessons are fun yet productive. I ardently assist students in attaining their own personally gratifying goals. - Lessons are offered at my residence in New Brunswick. - I maintain a flexible schedule during the school year and summer. - Weekly 1-hour lessons are recommended for the best progress, though other durations and frequencies are also offered. - Please contact me for more information. Thank you for your interest, and I look forward to helping you or your loved ones discover the gift of music!